The Autumn Rosa Plum is medium to large heart shaped fruit. The skin has a bloom similar to some grape varieties. When the bloom is removed, the skin is very shiny maroon to red with an amber cast. If the fruit is in full sun it is very maroon, if in the shade has more red with the amber shading. The flesh is amber color, moist but very firm, and a heavy fruit for its size. The pit is small resulting in an abundant amount of excellent flavored flesh. The fruit ripens over a long period and holds well on the tree. The fruit is ripe from early to late September. 400 to 500 hours of chill is necessary. The tree is self fertile and is a pollinizer for Mariposa and Satsuma plums. Autumn Rosa is the latest ripening of our current plums which means many hours of sun building sugar and flavor. I personally prefer this variety to Santa Rosa for flavor and specially the moist smooth golden flesh with the small pit and not dripping juicy. It is unfortunate there is not more interest in the variety with the late ripening. If it was an earlier variety it would be well known and possibly the #1 seller. The tree blooms the same time as Santa Rosa, so likely grows in the same areas. Unfortunately plum flowering dates are not as accurate to indicate chill hours as are peach and nectarine dates. L. E. Cooke Co received budwood from commercial fruit tree breeder Fred Anderson. It was rejected for commercial use because it fruited over a long period and the farmers could not have the desired one time picking for market. This is exactly what the homeowner wants. 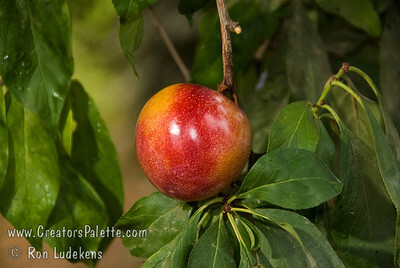 The bloom on the fruit would discourage a farmer where a homeowner approves of the polished shine and bright colors. The fruit is good for farmers' markets as it holds well on the tree and on display or in storage.